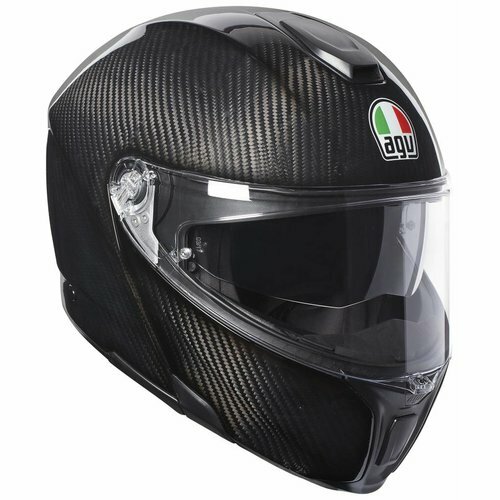 Buy AGV Sportmodular? Free Additional Visor! 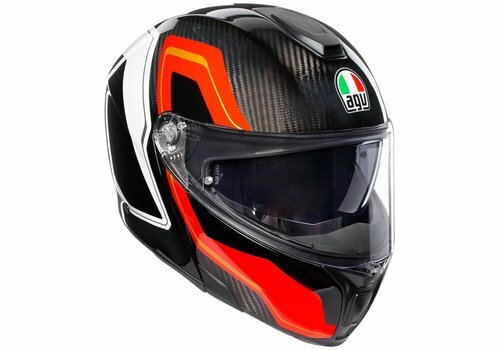 AGV has come with the lightest and strongest modular helmet ever. It is a modular helmet with the qualities of a Full-Face helmet and the comfort of a Modular helmet. That makes this Modular helmet the most sporty of all system helmets. In addition to the entire shell, the Sportmodular’ s chin piece - in contrast to its competitors - consists of 100% carbon. 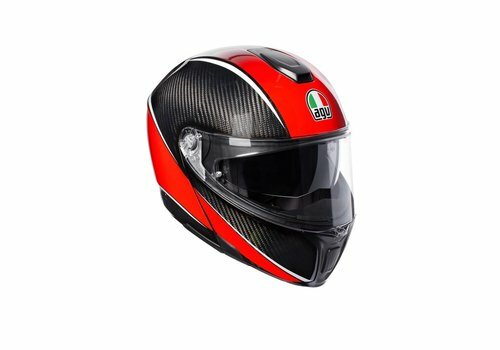 The safety of this helmet is copied from the AGV Pista GP R. The smallest shell has a super lightweight of no less than 1295 gr. 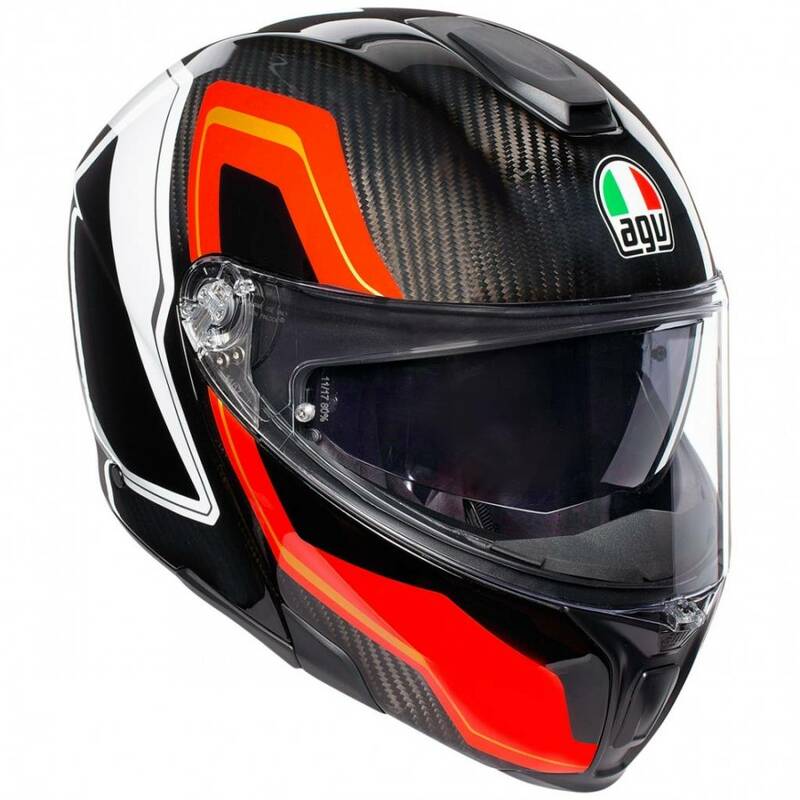 This helmet has been tested in the wind tunnel and this results in an extremely quiet modular helmet that behaves exceptionally stable at high speeds. 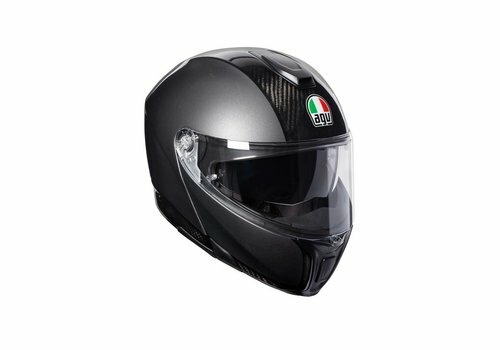 This is an ideal helmet for the sporty touring rider who wants the best in terms of safety and comfort. 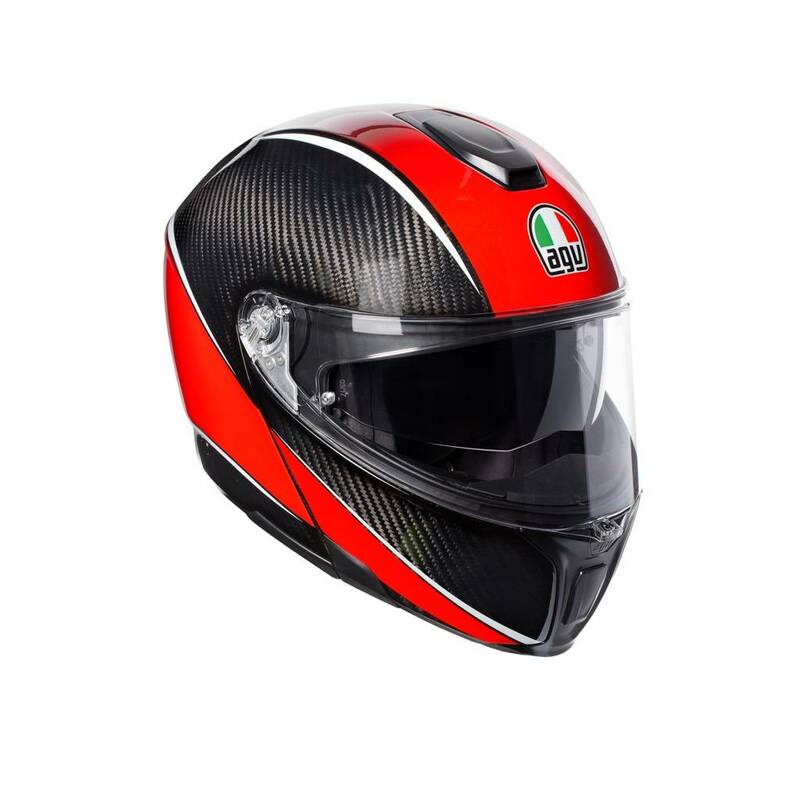 The safety of this Modular helmet is comparable to the Pista GP R. The Sportmodular has a 100% carbon outer shell and chin piece, where its competitors (Schuberth C4, Shoei Neotec 2) are made of Fiberglass. The Sport Modular weighs an unprecedented 1295 grams as a whole. There is no other Modular helmet that comes close to this weight. 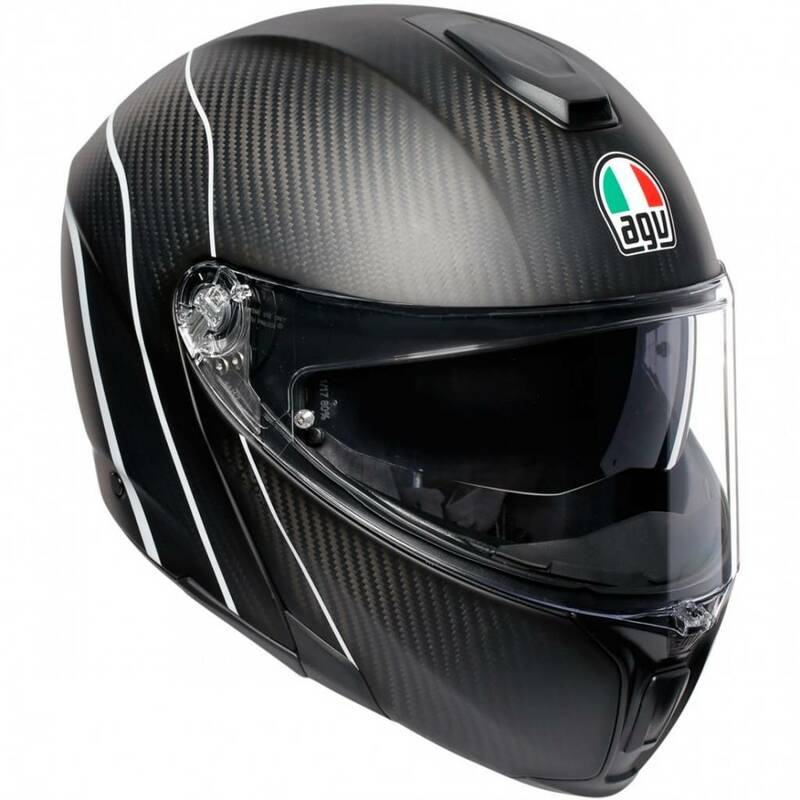 The helmet shell comes in 3 sizes and this contributes to the compact fit and low weight. The adjustable rear spoiler provides more stability and less turbulence. The Sportmodular has a Double-D closure of titanium, which is also 43% lighter than steel. The visor is equipped with a VLS (Visor Lock System) which prevents unintentional opening of the visor. 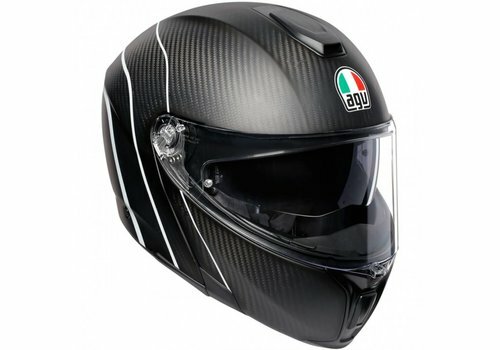 The helmet shell is designed so that in case of impact the energy is distributed over the entire helmet. The design also took into account the diversion of energy from the collarbone. This makes the Sport Modular 1 of the - if not the - safest system helmets on the market. The sportmodular has an IVS (Integrated Ventilation System), which consists of ventilation inlets on the chin and on the head. These can be completely closed and the top vents are adjustable into 3 positions. The internal air channels in the chin section distribute the air over the inside of the visor. The warm air is discharged through the air outlet on the back of the helmet. All this ensures an extremely comfortable air flow in the helmet. 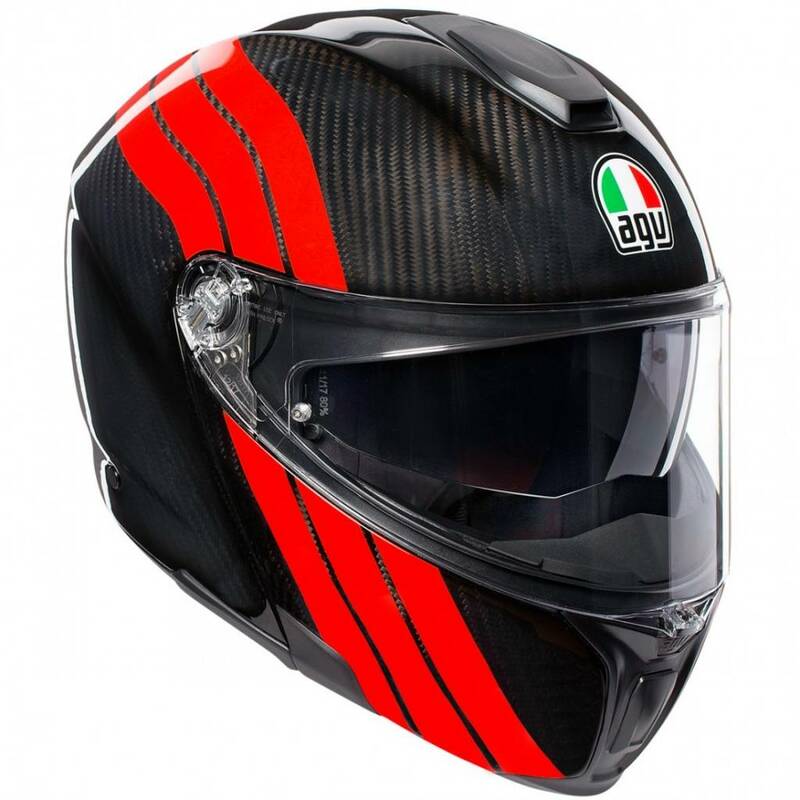 The AGV Sport Modular is, according to AGV, the quietest helmet sold today. 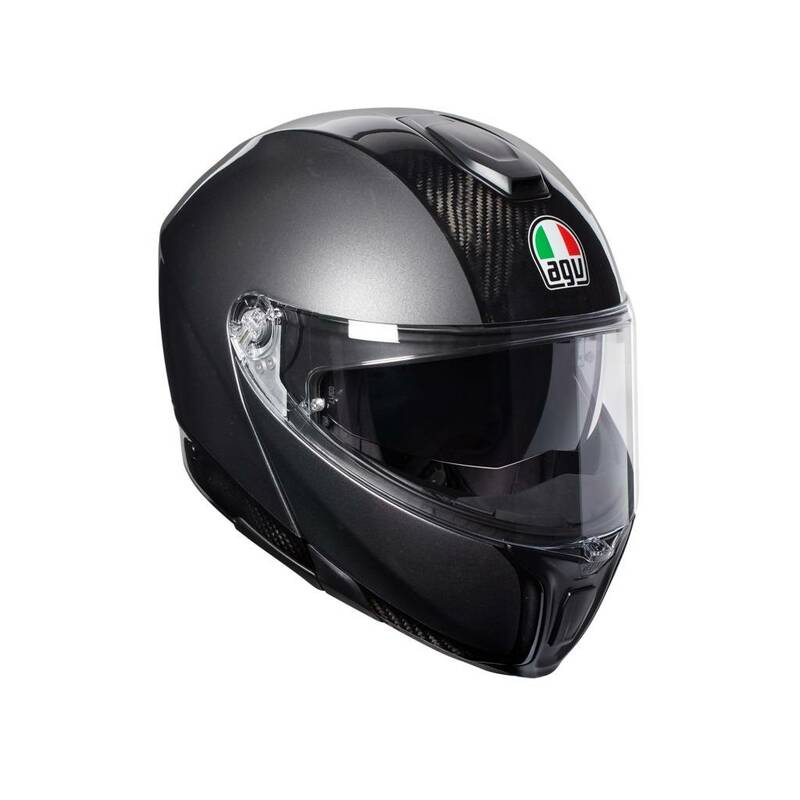 We find that it is reasonably similar to the Schuberth C4 and the Shoei Neotec 2. But then you mention the two quietest helmets that are available. The inner lining is designed so that it minimizes incoming noise. 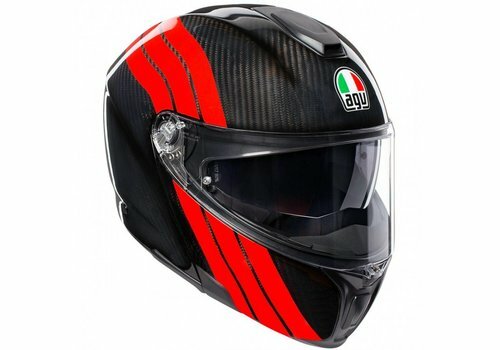 Due to aerodynamics, wind noise is prevented, resulting in an extremely quiet helmet. The Sportmodular is therefore ideal for long trips where comfort is important. The Sportmodular comes with a clear Class Optic 1 with 100% Max Vision 120 Pinlock visor, which is 5mm thick. This visor prevents the image from deforming and has anti-fog insert. This visor offers an unprecedented field of view of 190 degrees horizontally and 85 degrees vertically. The 3 point lock of the visor prevents unintended opening to provide good protection in case of a fall. The visor can easily and quickly be changed without tools. The helmet also has an integrated sun visor that is removable. The sun visor can be operated with a smart slider. The Sportmodular lining is double-sided. You have the side of the warm shalimar fabric and the cool Ritmo fabric side. Shalimar feels soft and comfortable and Ritmo feels smooth and fresh. You wear the liner depending on how cold / hot it is. Shalimar provides insulation against the cold and Ritmo works moisture-wicking and ventilating. The neck collar also ensures that rain is kept outside the helmet. The lining is removable, washable, breathable, anti-bacterial, moisture-regulating and extremely comfortable!